OUCH Marc, go VERY carefully with that dodgy disc. I haven’t had one but a good friend of mine did a number of years ago and on occasions he still ‘minces’ a bit as he walks. ‘Lift with back straight’ is the only counter to it, (..and Real Ales; Doombar and London Pride, medicines sent by the angels!). Down to business. I wish to start by purchasing the three Brecon & Merthyr carriages. Could you advise me on prices, p&p etc. and I take it they are O gauge? Also I have a spare crowbar you can use to make the motor/gearbox assy. fit into the P1 if needed. I just happen to have £250 in shiny shillings in my pocket for that exact reason. The thing is if you take too long sorting out the problem I may need to convert them into medicine to avert bad back situations! (Sorry mate). I feel for you Marc, really do. P.S. If you should happen to drop your pen replying to this email do NOT try and pick it up. Find a boy scout doing ‘Bob a Job’. 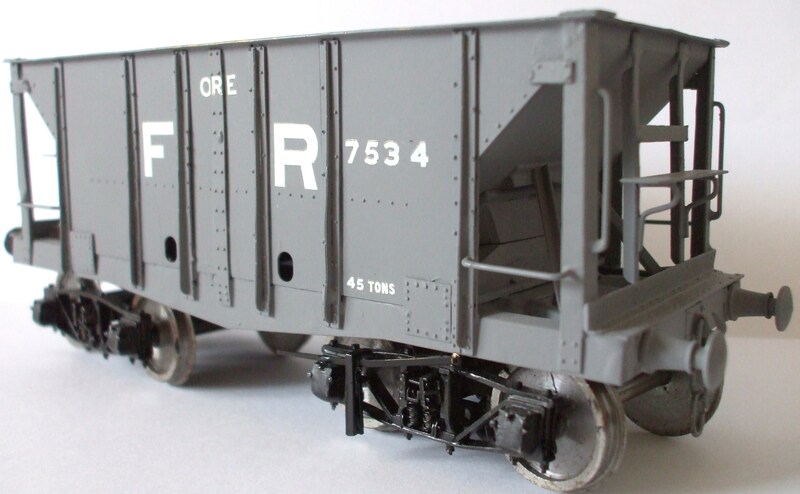 The coaches are £100 each in kit form, £200 RTR in undercoat and £270 painted. There is a P&P cost of £8 for individual kits but there is a reduction on multiple sales. However we are at the Blyth and Tyne show at the end of the month, Reading at the start of May and Doncaster at the start of June if you want to pick them up and save the postage. 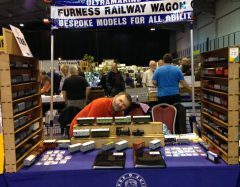 If you email me on furnessrailway@hotmail.com we can sort out payment and delivery.